The Dart was the result of a requirement by Cagiva, who had taken over Moto Morini in 1987, to combine the products of the two Companies. The new owners required the designers from both firms to work together in placing the 350cc V twin engine from Morini in the frame of the 125cc Freccia (Arrow). After much effort the result was the new Dart, using an improved and reworked version of the Lambertini engine (new Japanese switches, electrics and starter; airbox and a two into one exhaust) in a lightly modified Cagiva Freccia frame and fairing designed by Tamburini. In conversation with Lambertini at the Morini Club factory visit in 2007, it emerged that this had been one of his favourite machines. Although the bike has stunning looks and excellent road holding, its performance did not live up to the promise of the looks, and it was only built between 1988 and late 1990  the last of a line of sporting 350cc machines from the original factory. At the same cost a customer had the choice of machines such as Honda's new CBR600. For the last model year a 400cc version was constructed principally for the Japanese market, with smaller valve heads and only marginally more power. In total, only some fifty Darts are thought to have been imported into the UK  all with a plastic petrol tank beneath the bodywork. Described as a gentle sports bike, these machines reward good riding, and are now eminently "collectable". Real Classic "Dart & Gilera"
Real Classic "Dart & Kanguro"
Performance Bikes magazine tested a Dart in November 1988 and described it as, "slow, docile and atrocious value for money. But it is one of the most gorgeous motorcycles ever to come from Italy." Nevertheless, with a barely run-in engine the Dart delivered 29bhp on their dyno and felt "relaxed" at a 90mph "cruising" speed. They found the bike "light and quick steering enough to flick into full lean as fast as a 125." All this plus a tested average 57mpg. Roland Brown tested the Dart for Bike magazine in March 1989 and found the bike to be, "a stylish, interesting but ultimately frustrating machine." In a time when journalists and buying public were obsessed with multi cylinder power (has anything changed...?) he felt doubling the horse power would make it a "seriously desirable motorbike." In the real world in which most of us live however, the bike still hit 81mph over a standing quarter mile, steering was "effortless", the 6-speed gearbox was pleasing to use, and the riding position was comfortable over distance. Interestingly there was a mention of Wee Vee's £400 "tune-up kit" comprising larger Dell'orto carburettors, K&N filters, larger valves, racier cams, balanced crank and free flowing exhaust that was said to increase power to 43bhp. 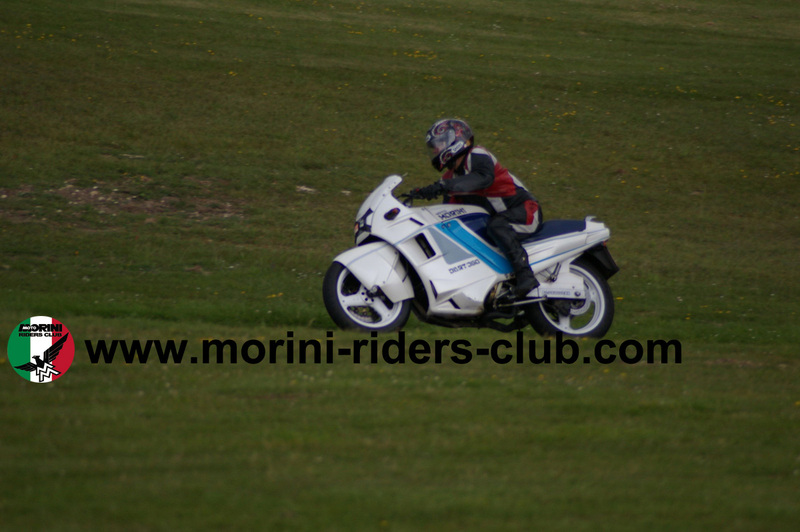 Gez Kane tested a North Leicester Motorcycles Dart for Practical Sportsbikes in February 2013. He found it, "a rare treat ... fun, quirky and fulfilling." A tall person, he still found the Dart "accomodating" and "spacious". Country back roads showed a stable bike with the benefits of a "sweet" gearbox and "flat spread of torque".